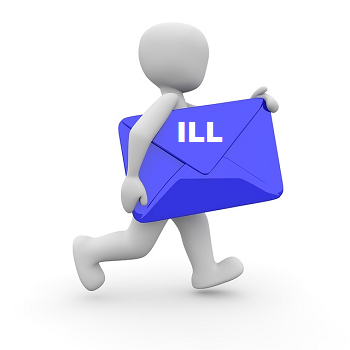 Interlibrary loan (ILL) is a service that allows a user from one library to borrow materials from another library. Materials are physically mailed to the requesting library where the user can then view or check out the materials. You will be contacted by phone or e-mail once the items have arrived. The lending library determines the due date, and it will be posted on the label attached to each item. Return ILL materials by the due date so that our relationship with lending libraries is not jeopardized. This service is available without cost to PCC faculty, staff, students, and community residents with a valid PCC Library card. In some instances there may be a charge for journal articles; however, you will be contacted about any charges before the order is placed. Ask a librarian to check if the article you need is available from one of our online databases. If it is not available, complete the online article request form as completely as possible. Check to see if the book you want is available from a library with whom we share our library catalog. We share our library catalog with other community college libraries across the state. You can search these libraries and request the item(s) you would like to have sent to PCC Library, by using the library catalog. Go to the Library Catalog (opens in a new window). If you find a book you want, follow the instructions for How to Place a Hold (opens in a new window). You will be notified when the book arrives. If the book you need is NOT available from another community college library, fill out the book request form as completely as possible.